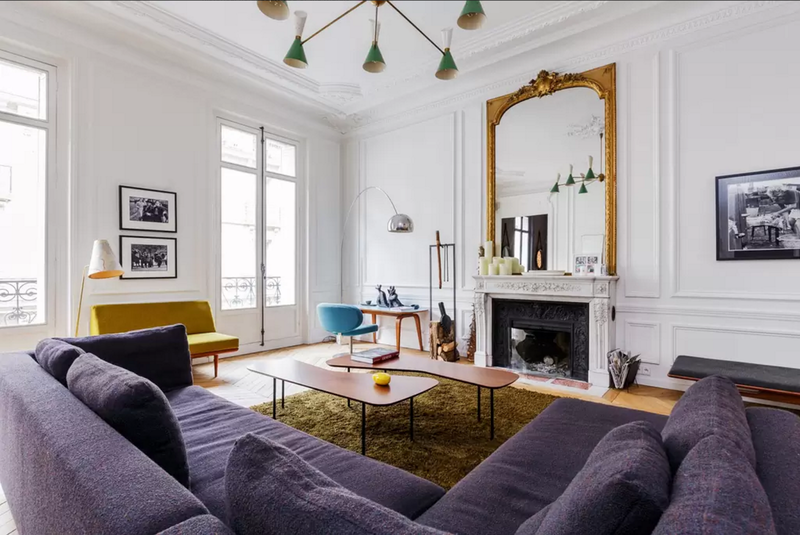 This is one of the best interiors I saw in a long time. 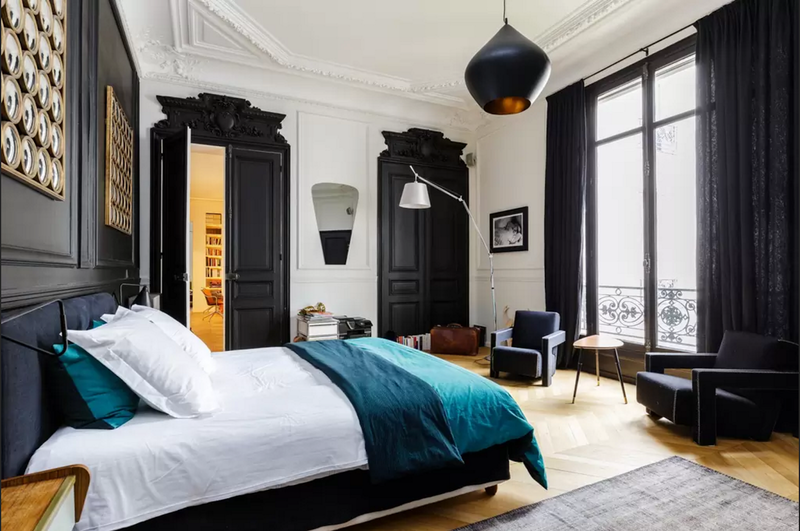 I just love this place. 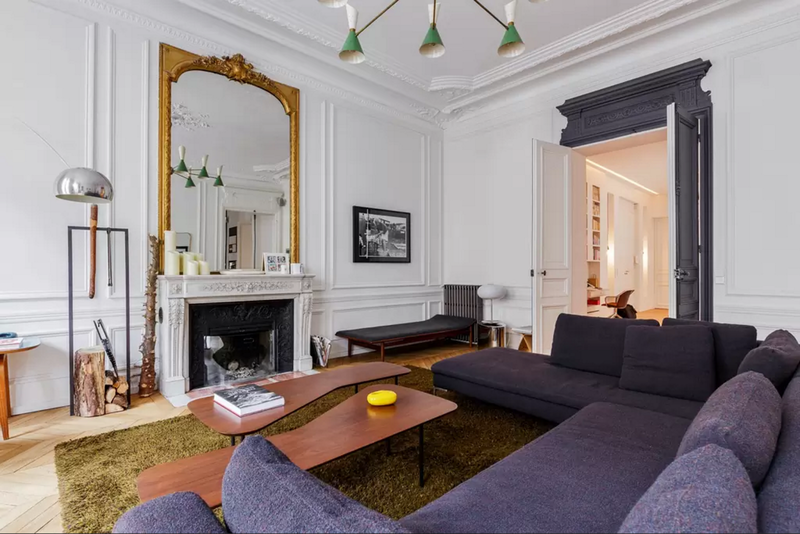 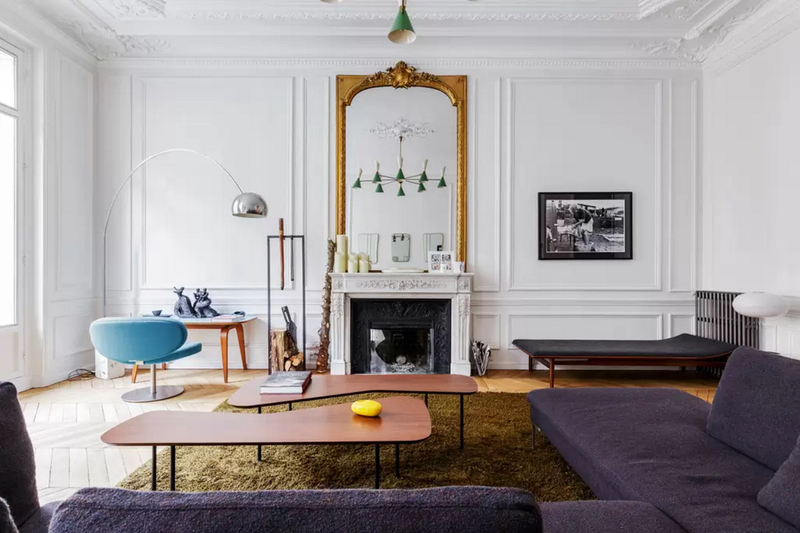 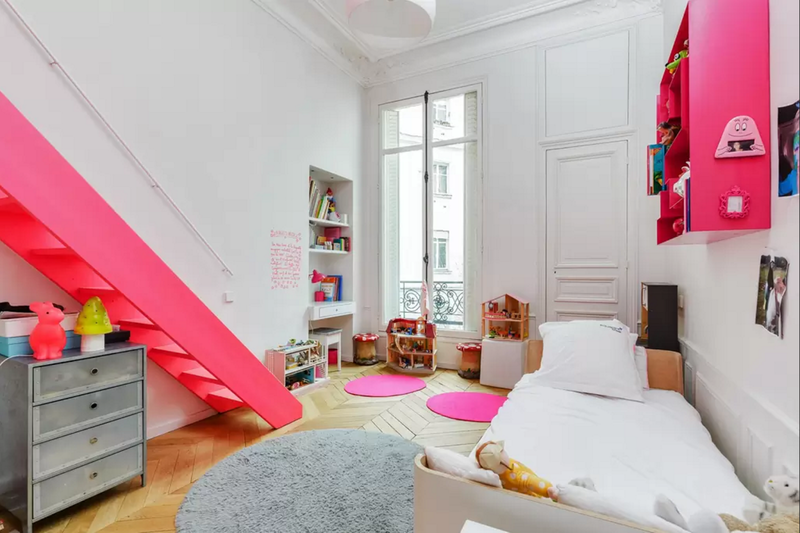 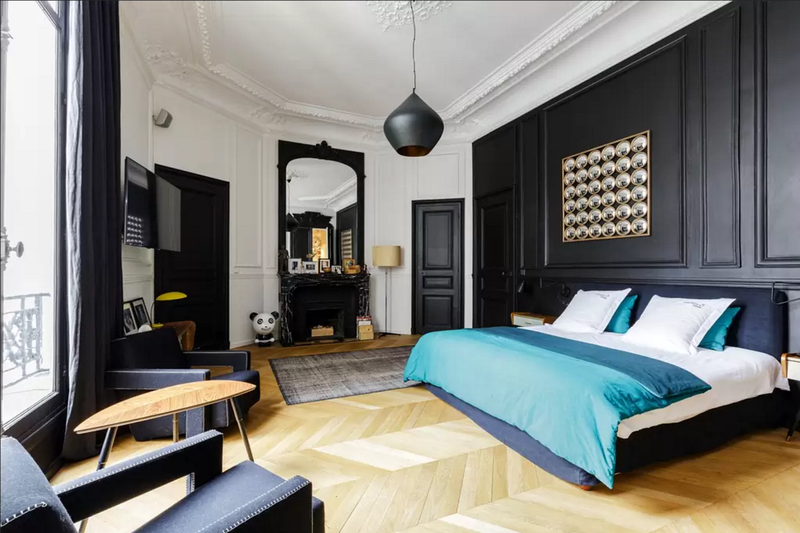 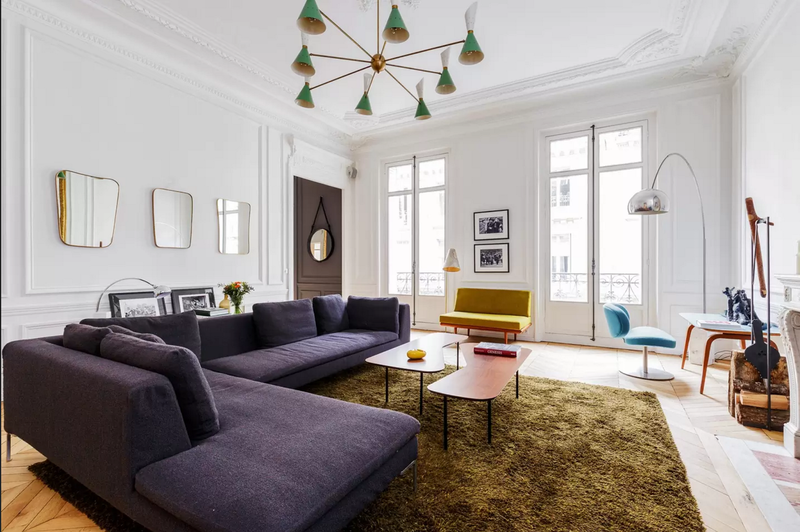 This large Parisian apartment, which is actually available for rent through airbnb is looking simply stunning. 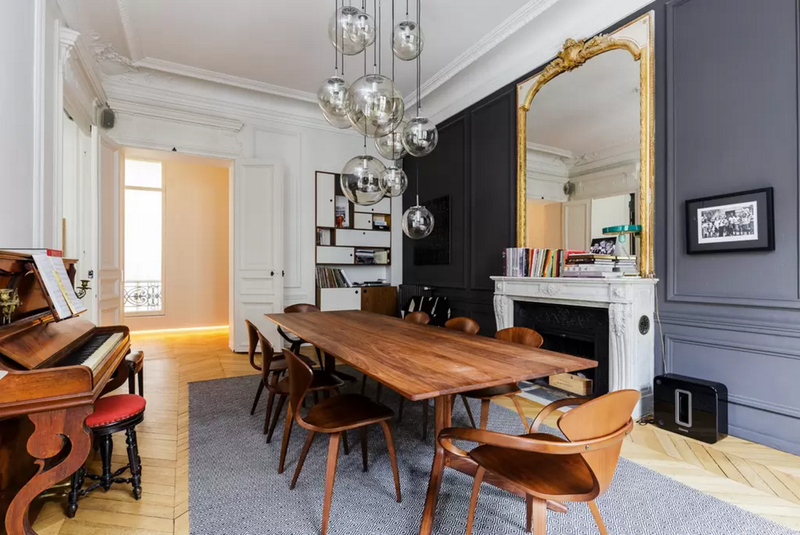 The basis - beautiful wood paneling, rich stucco, extra large windows and marble fireplaces is already amazing, but the interior is also furnished with a great selection of mid century modern pieces and contemporary design. 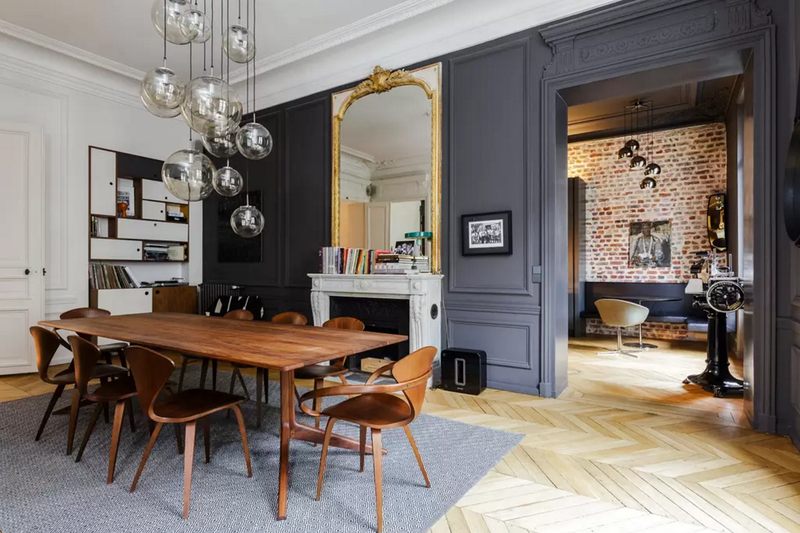 This combination is simply perfect. 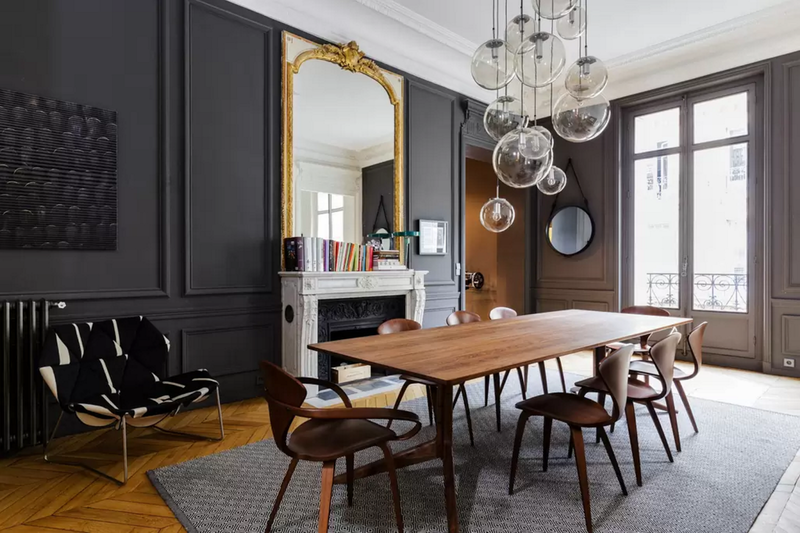 There is a nice use of dark painted walls and doors in some rooms, especially the dining room looks super cool with the dark gray wall and in the bedroom, this effect is used also to great effect. 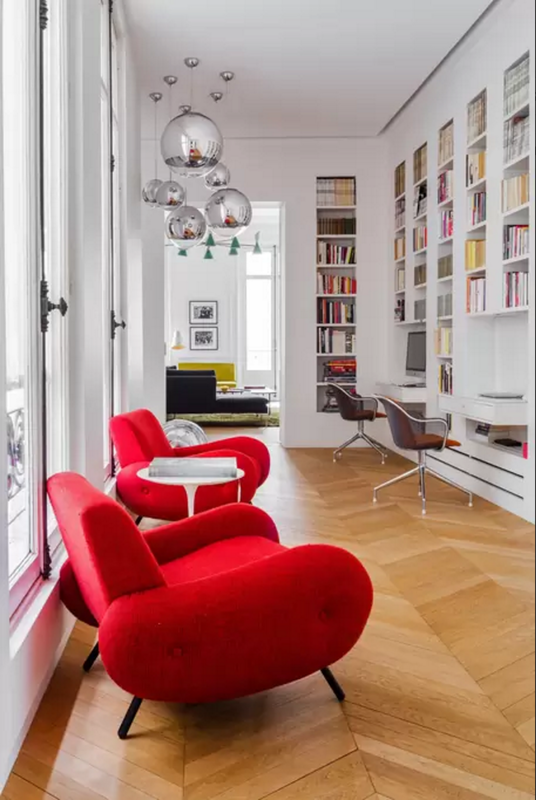 The way how the workspace area was executed is also interesting, there is actually place for two people and it is connected with a huge built in library.